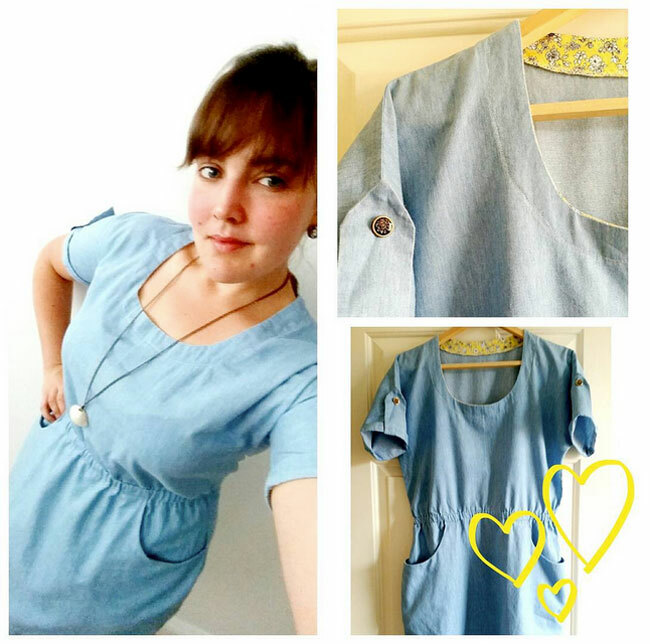 Tilly and the Buttons: Your Makes from the Summer Sewing Instaspam Party! 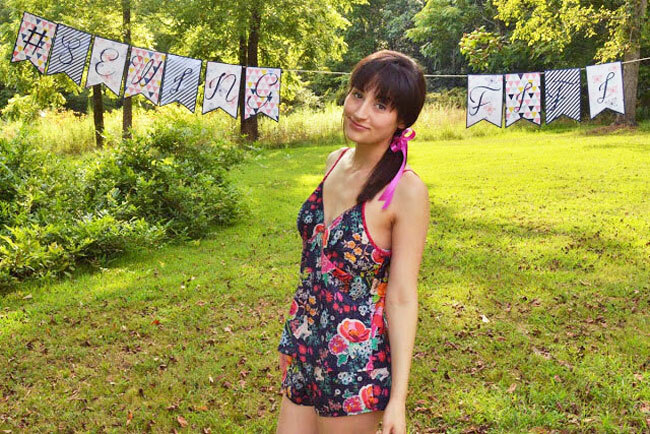 Your Makes from the Summer Sewing Instaspam Party! 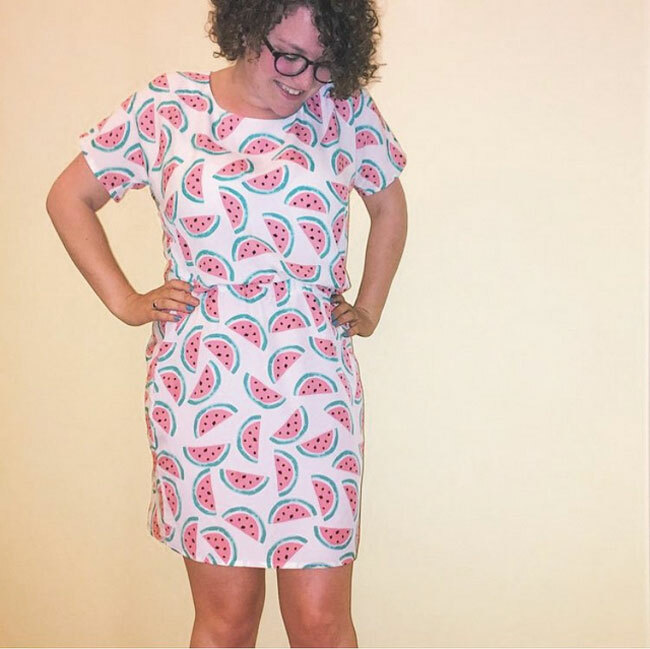 First up, I'm in love with Clare's third Bettine dress, this one with watermelon print. WANT!! 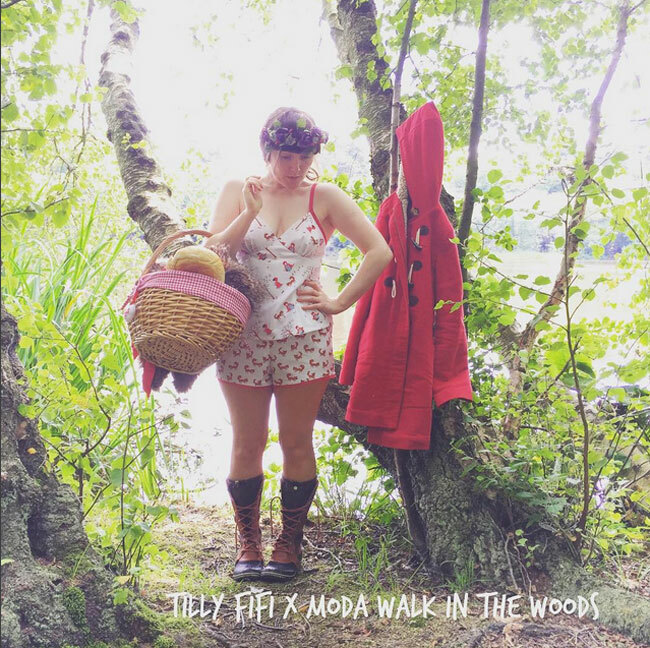 Elle chose a Red Riding Hood theme fabric and set up a photo shoot to match. Amazing! I'm a sucker for the Bettine dress in chambray - and Elena's version looks stunning on her. Nina chose a silk she bought in Vietnam for her Fifi set. Turn on the air conditioning, this lady's looking hot! This is Rosie's first dress - isn't it gorgeous? The drapey fabric works perfectly with the breezy style of the dress. Good work, lady! 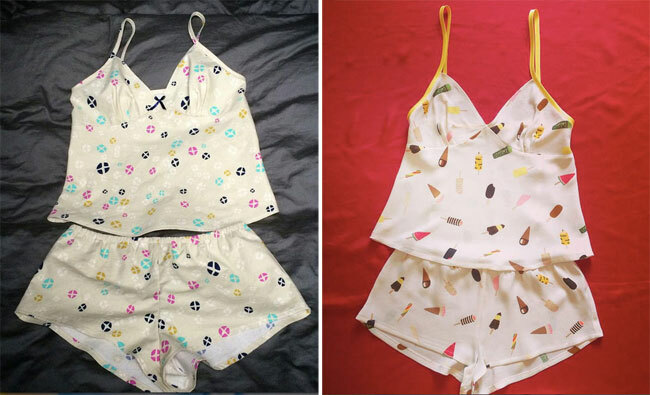 These two Fifi sets caught my eye for their cute prints. I love the colours in Kate's fabric choice. 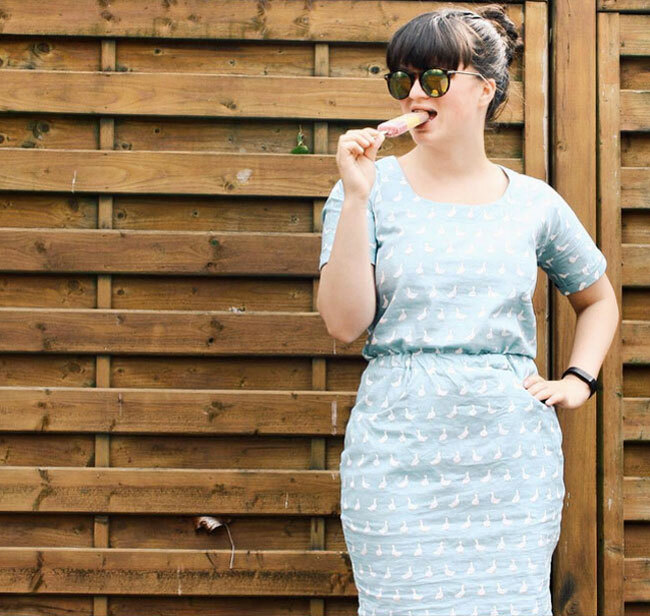 And Miushkamiushka has made me realise how much I need ice cream print PJs in my life! 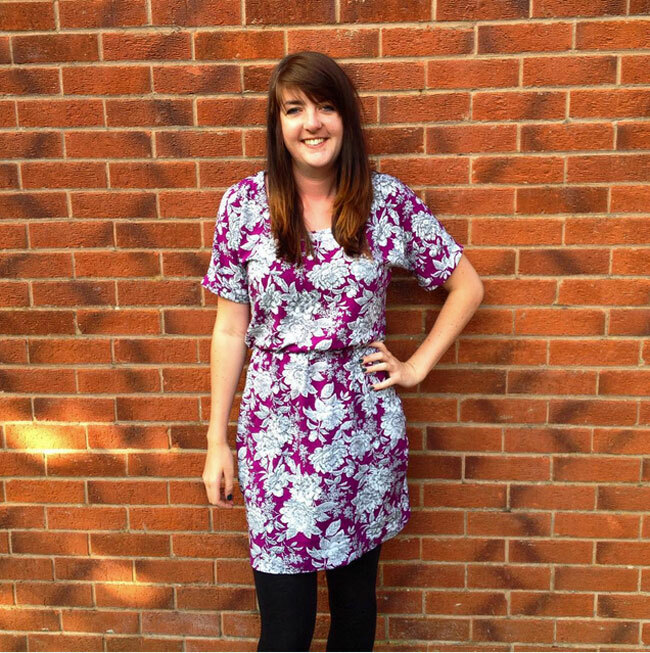 Speaking of cute prints, Sara's Bettine dress has geese on it - adorable! 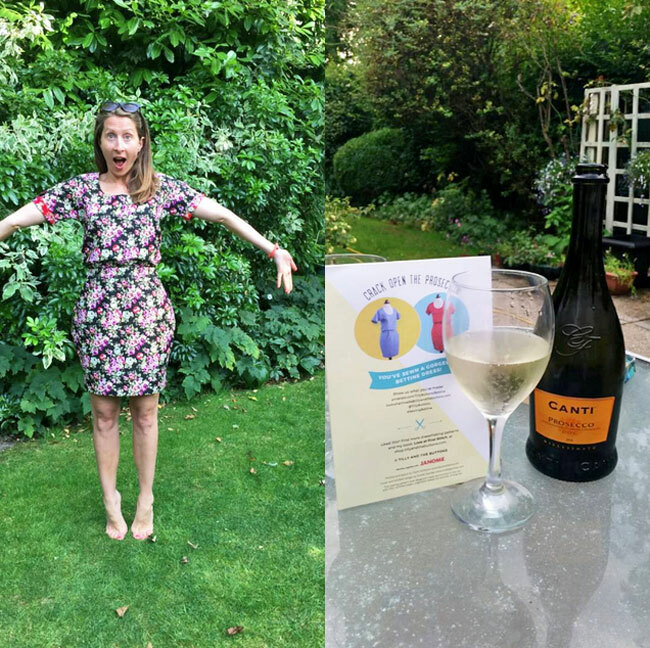 Jude took the final step in the Bettine pattern instructions - "Crack open the prosecco" - literally. Good on you, girl! Last but not least, Kyema really pushed the boat out - not only is her Fifi set absolutely gorgeous, she even made 'Sewing Fifi' bunting for the occasion. Wow!! As a little thank you for taking part, we're going to send a sewing pattern of their choice to each of the ten people featured in this post. If you're one of them, you should hear from us soon, or you can email Laura to tell her which pattern you'd like - take a look at our sewing patterns in our shop. There's plenty more inspiration for making the Bettine dress and Fifi set in the maker galleries on Pinterest. Huge thanks to everyone who took part for all the sewing inspiration!